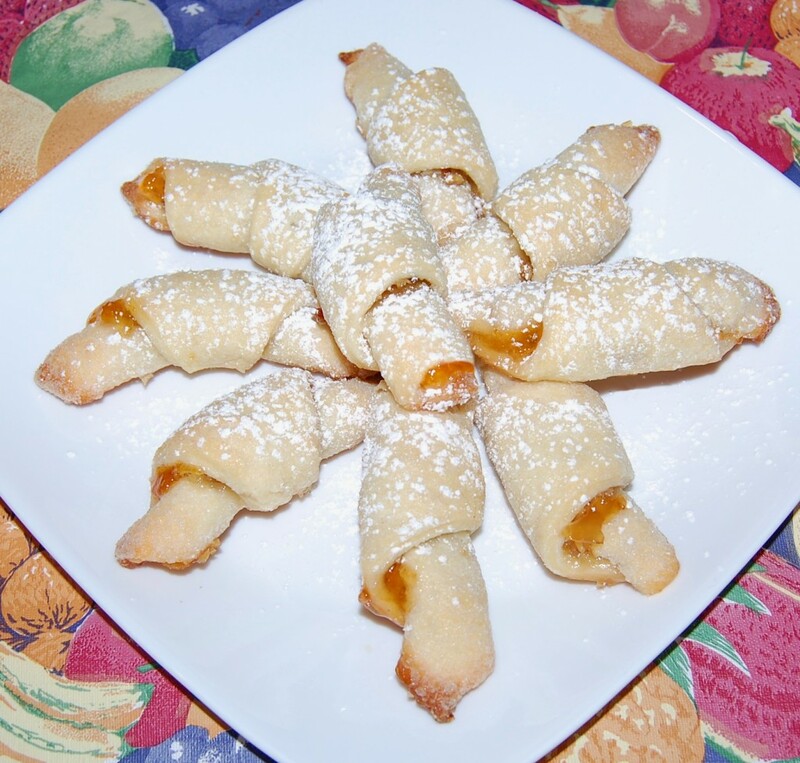 aka Apricot Rugelach - Light and flaky horns, filled with apricot preserves, coconut and pecans! In a large bowl, using a pastry cutter, cut cold butter into flour until the mixture resembles coarse crumbs. In a small bowl, whisk together egg yolk and sour cream. Add the cream mixture to crumb mixture. Using a hand mixer, beat until well combined. Cover and chill overnight. The next day, combine preserves, coconut, and pecans in a small bowl; set aside. 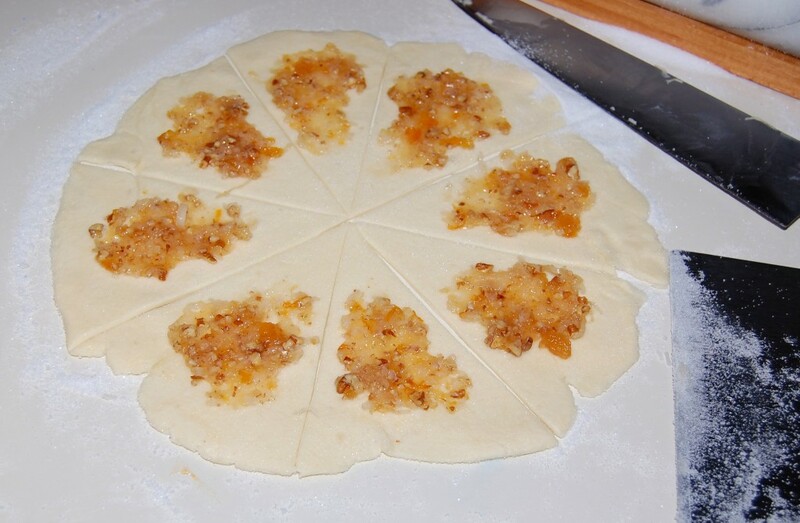 Divide dough into fourths. On a well sugared surface, roll each portion into a 10-inch circle. Cut each circle into 8 wedges. 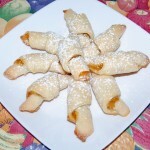 Spread a 1/2 teaspoon of filling over each wedge. Roll each wedge into a crescent shape, starting at the wide end. Place points down 1-inch apart on baking sheets lined with parchment paper. Bake at 350 degrees for 15 to 20 minutes or until set and very lightly browned. Immediately remove from pans to wire racks to cool.